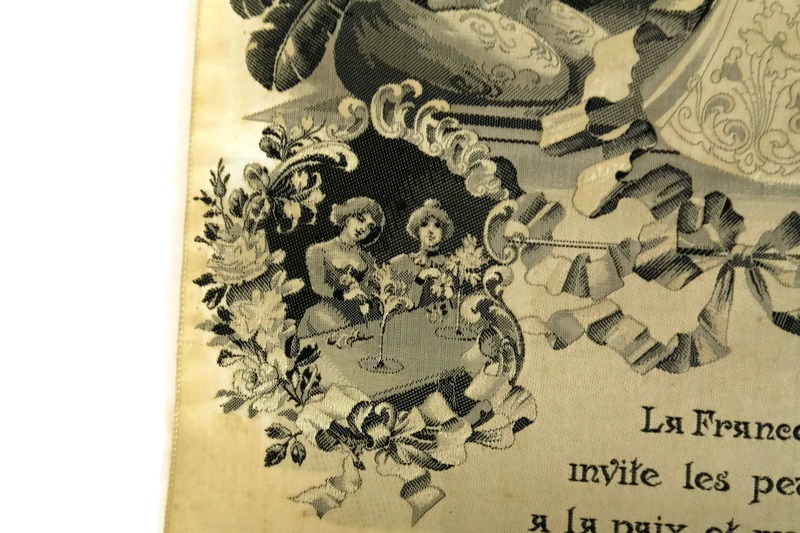 Antique Stevengraph Silk Weaving. 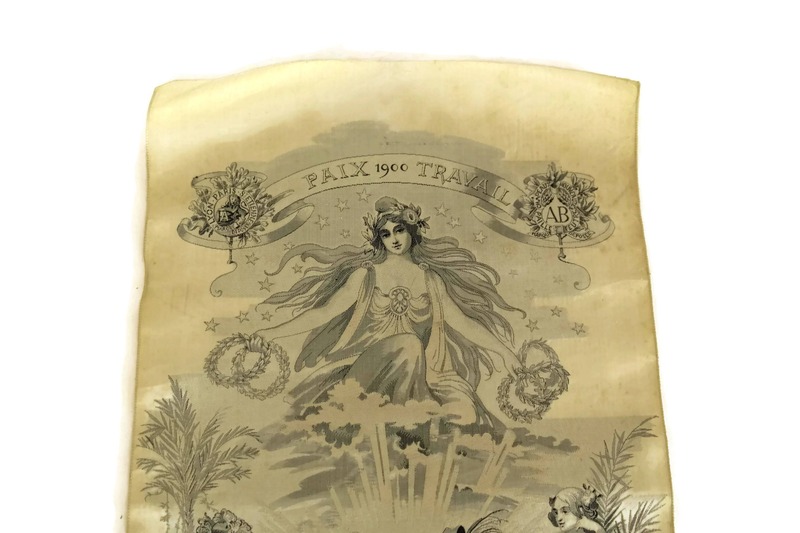 1900 Paris Exposition Souvenir. 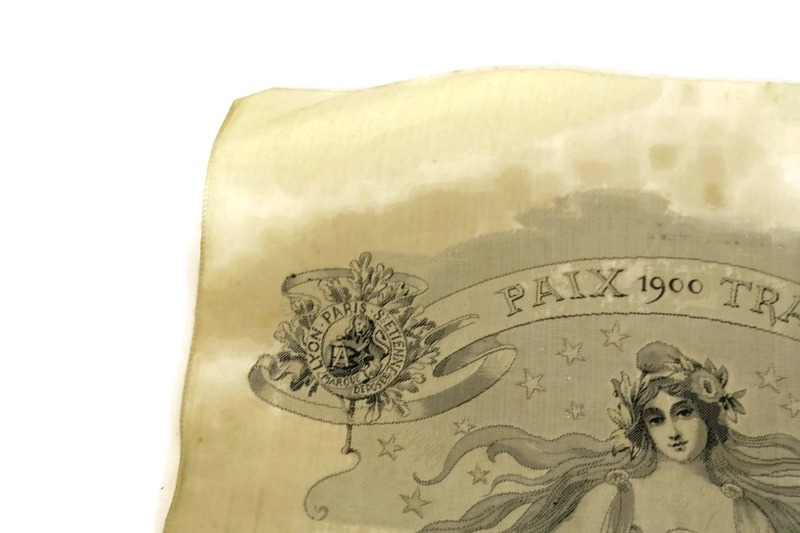 Paix & Travail. 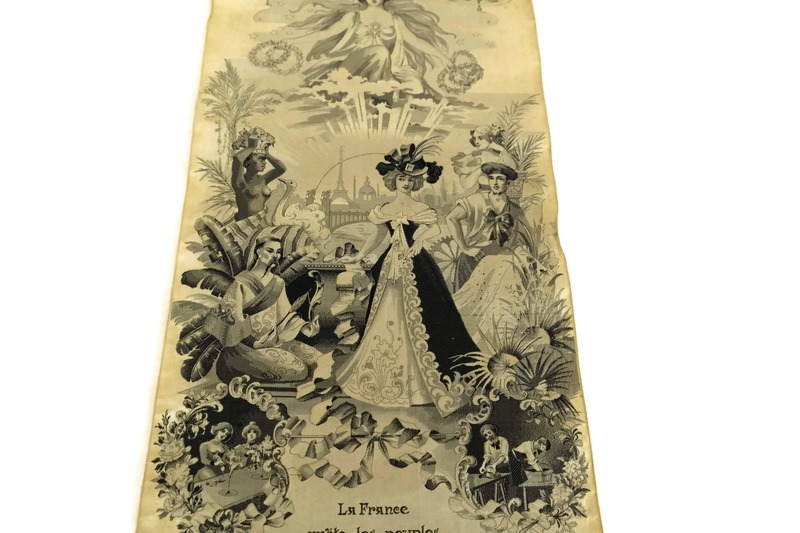 Romantic French Fabric Art Wall Hanging Panel. 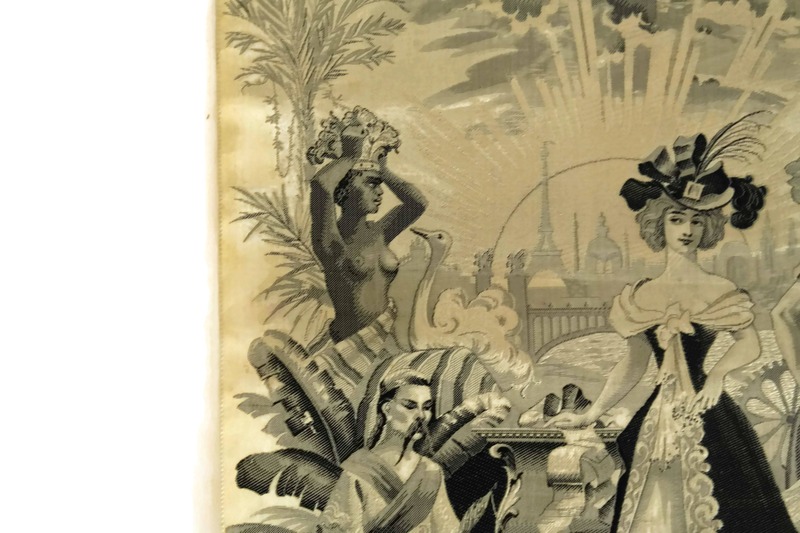 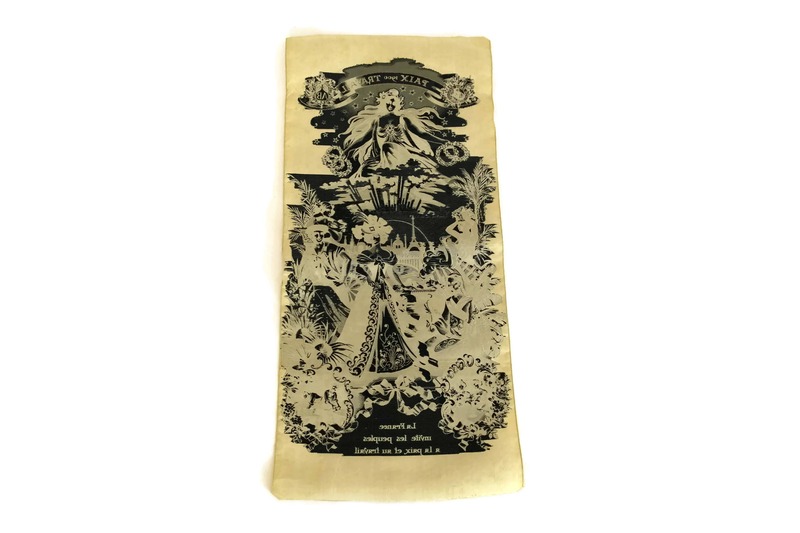 A beautiful antique Stevengraph silk weaving from the 1900 Paris Universal Exposition.The French souvenir wall hanging panel features a romantic design with allegorical images of prosperity, peace and labour. 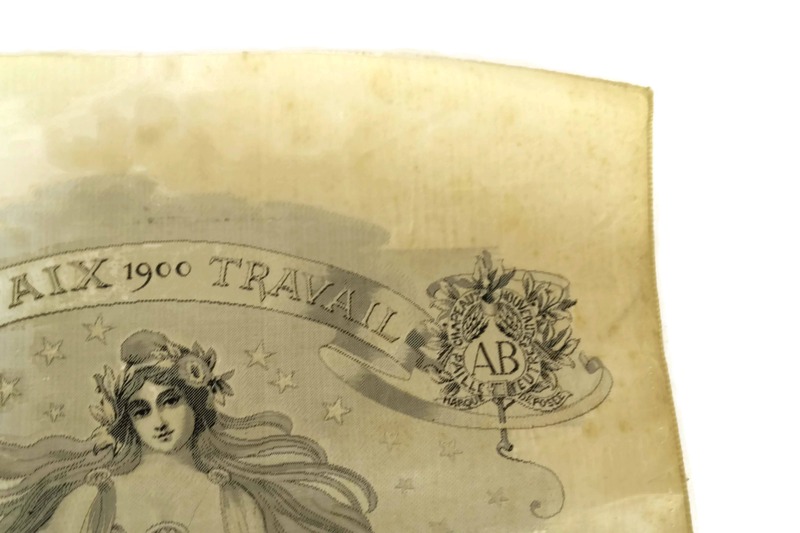 It has been very finely woven in black and cream silk and has been titled " 1900 Paix Travail" (1900 Peace Labour). 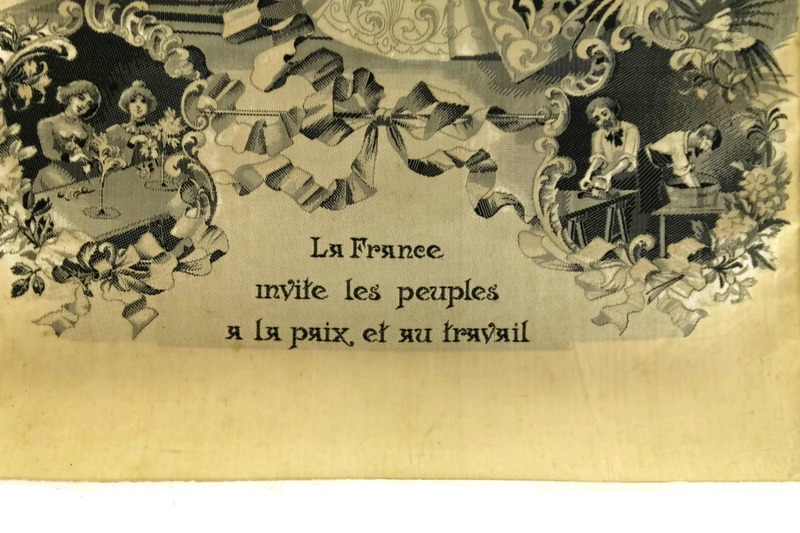 The center of the composition portrays an elegant lady in fashionable dress surrounded by people of different nationalities.The bottom of the Stevengraph has the French phrase " La France invite les peuples a la paix et au travail" (France invites peoples to peace and labour). 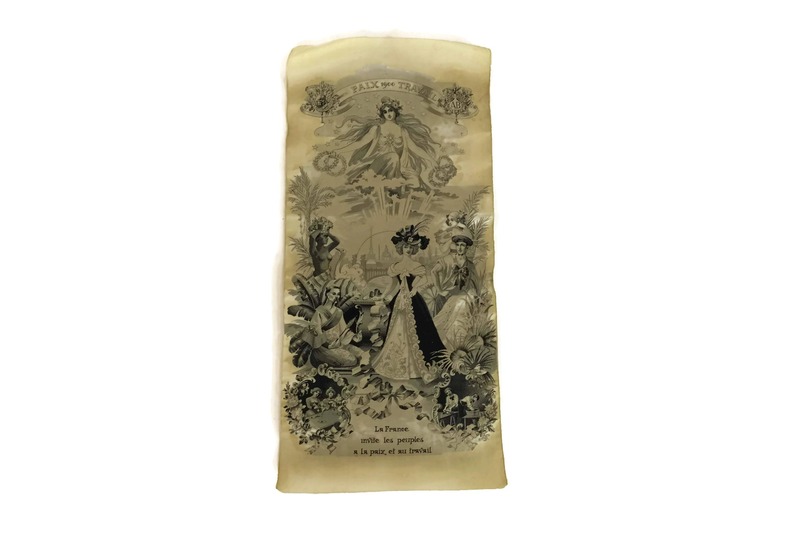 17 1/2" Tall x 8" Wide (44,5 cm x 20 cm). 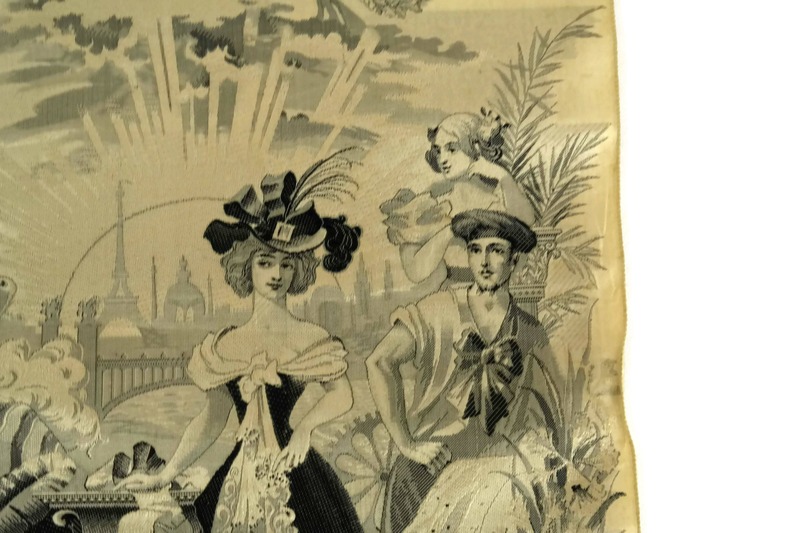 The antique woven silk stevengraph picture is in very good condition with light wear and surface marks.